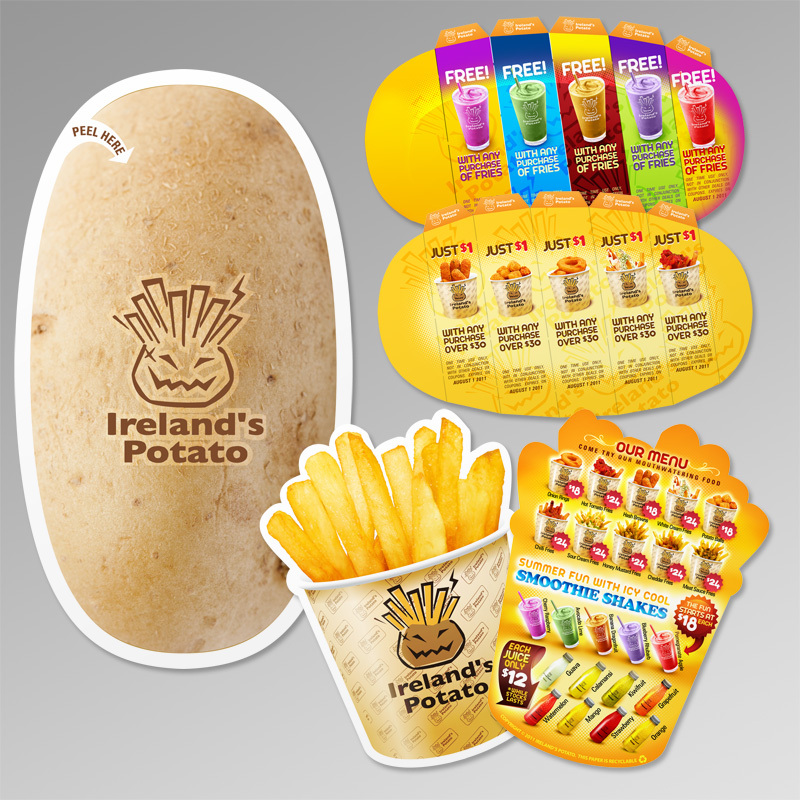 Ireland’s Potato is an Asian fast food business that sells fries and other fried snacks. We worked on a leaflet concept that provided customers with an interested way of viewing the menu, and receiving coupons, simultaneously. 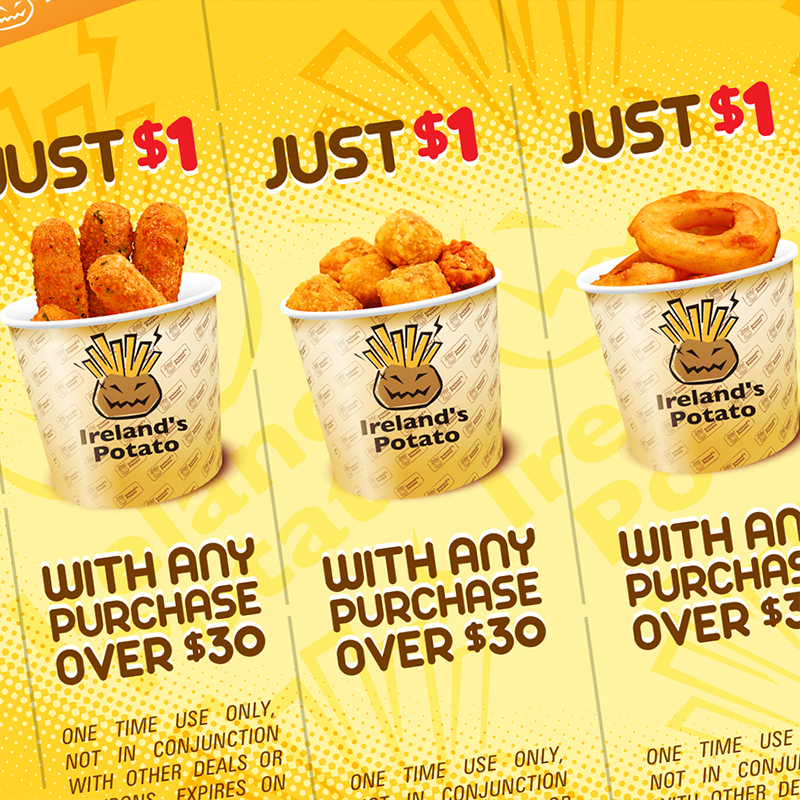 Concept leaflet designed and developed for Ireland's Potato. Coupon example - easy tear off for customers. 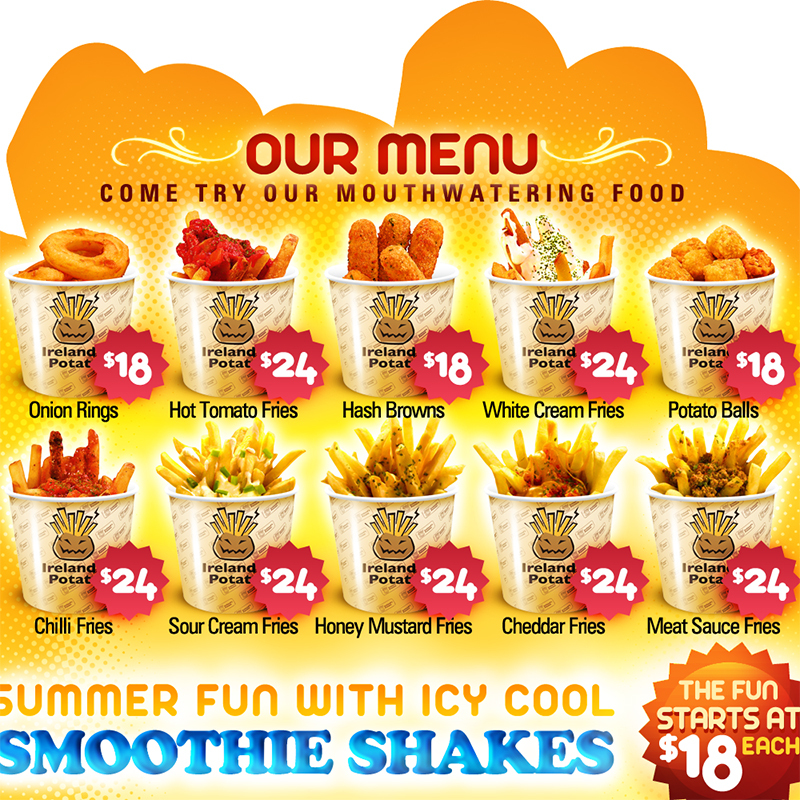 Menu example of fried. Compact, graphically rich, and enticing. 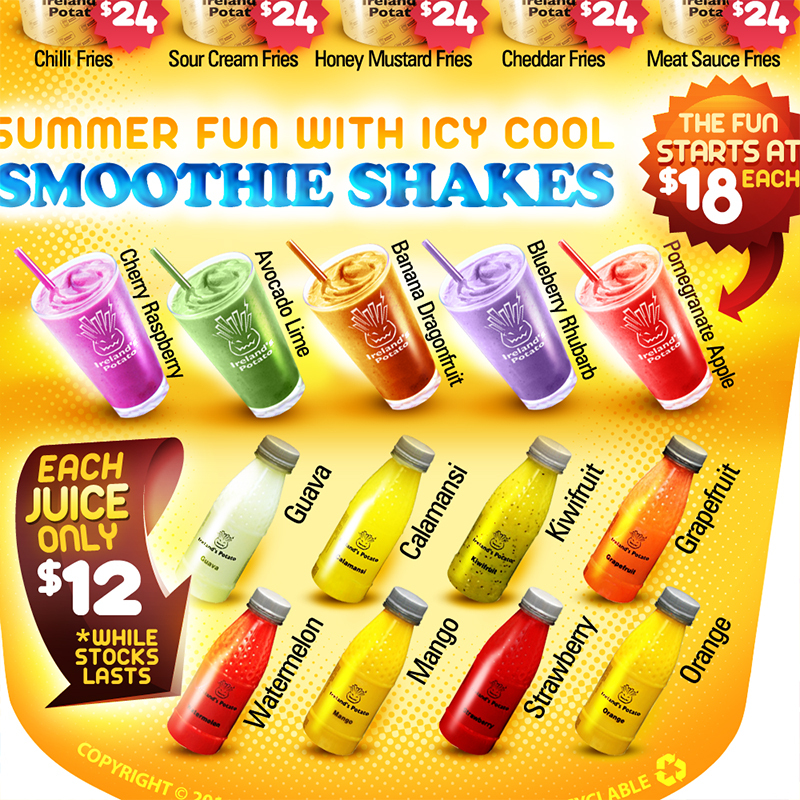 Menu example showing beverages. Graphically rich, enticing, and interesting to look at.